Oddmall is more than just an ordinary craft show. It’s a celebration of uniqueness, creativity, imagination, and wonder where artists, crafters, and like-minded sorts gather to offer their unusual creations for public consumption. It’s a forum for creative expression, a classroom for esoteric wisdom, a soapbox for wild ideas, a miraculous marketplace of the unconventional, a metaphorical Serengetian watering hole where the zebras and wildebeests of inspiration and artistry congregate amidst the snapping crocodiles and scorching sunbeams of originality and ingenuity… umm yeah. Anyway, it’ll be fun. Trust me. The best of the best of Pacific Northwests Artists, Crafters, Authors, Illustrators and purveyors of unusual things! Who can participate, who is it open too? Oddmall is open to absolutely everyone and admission is 100% FREE. It’s the perfect place to nab some sweet gifts and indulge all your various shopping dreams. Artists, Crafters, Authors, Illustrators, Purveyors of unique and curious items! Adult themed material is allowed but must be clearly marked as such and hidden from the eyes of passing children and the faint of constitution. Where does Oddmall take place? We run several shows a year around the Pacific Northwest and in Ohio. Click on upcoming shows to see our current schedule of events. 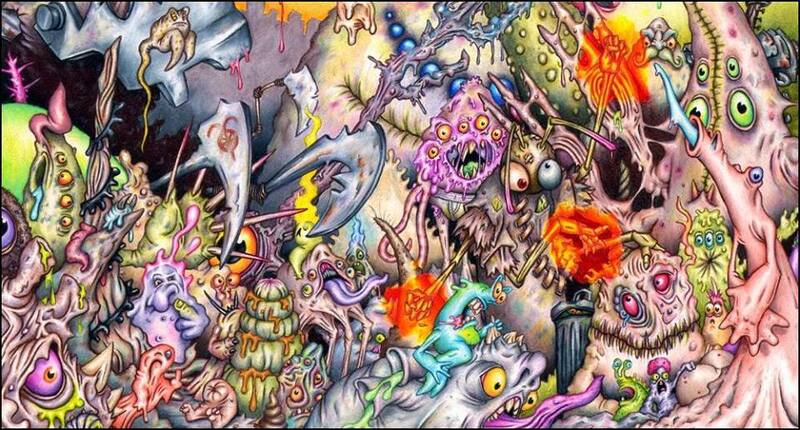 Where else can you find such an eclectic fecundity of oddness? It’s the perfect place to find something unique for that special someone or pick out something really unique for your mommy. Browsing Oddmall’s indoor profusion of vendors is a great and fantastic way to spend an afternoon with the family. Many of Oddmall’s vendors and artists will be on hand to host workshops and demonstrations of their unique creations. Who knows, you might just learn something and have fun doing it. 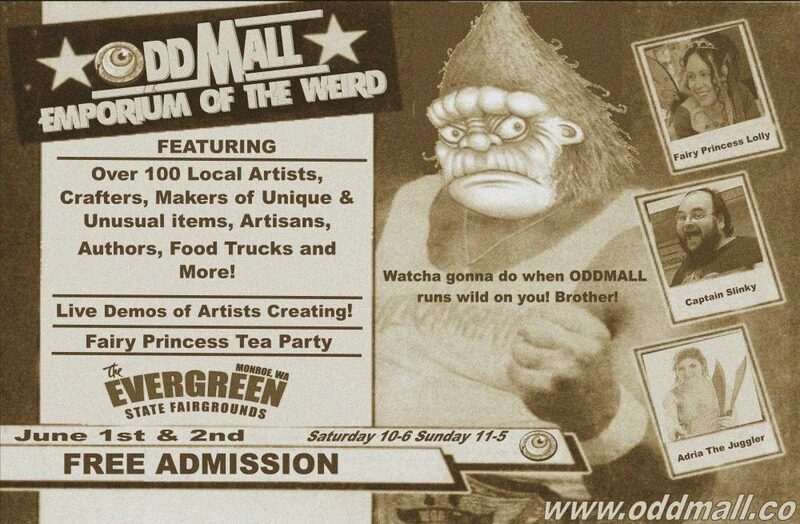 Oddmall began in Hudson, Ohio in May 2009 as a way to showcase artists who don’t quite fit in at your typical craft show. Oddmall Ohio continues to run shows thru-out Northern Ohio. Oddmall also recently participated in it’s first outdoor event in Ohio the Kubb Championships (Look it up! It’s the next big sport) with a vast assortment of artists. They are looking forward to the upcoming Oddmall: Emporium of the weird Backyard Bash outdoor vendor fair later this Summer. 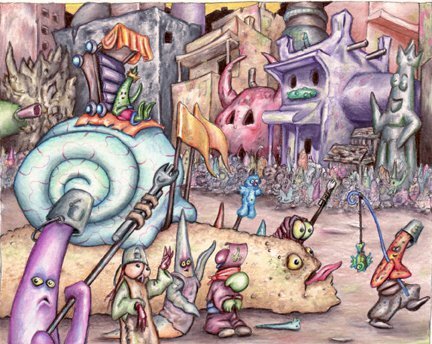 Founded by artist, author, illustrator, convention director and father of 2 Andy Hopp his work is featured thru out Oddmall and its presence on the web. Here are a few examples of his work. 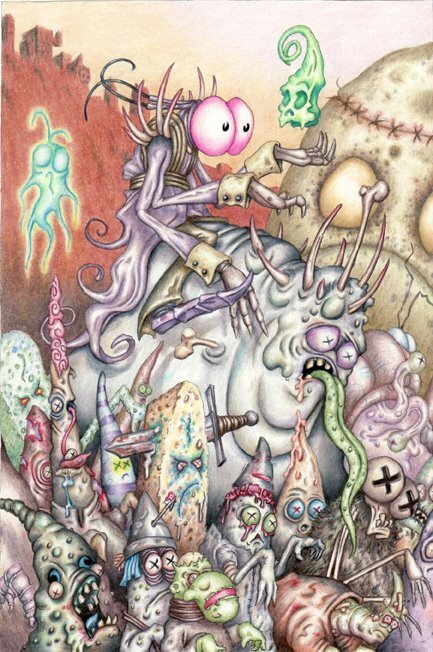 You can find out all about Andy and purchase some really cool art, children s books, t shirts and more on his website. In 2013, Andy and his brother David who lives in the Pacific Northwest decided it was time to expand west! Our first show in the PNW was in September 2013 and we now bring Oddmall to Everett, Washington for 3 shows a year beginning in 2017. 2017 also brings our debut show in Tacoma Washington in May 2017. We also promote several smaller Oddmall vendor villages at various events such as the Georgetown Carnival and the Summer Movie series at Red Hook Brewery in Woodinville, Washington. **Parking is free whenever possible. Different locations have different options available. See website for each event for specifics.